A friend just introduced me to Press Reader, an app that allows me to read news stories from around the world. She was sharing an article about the city of Paris's attempts to control rentals in the first to fourth arrondissements. Since 2012, the number of Airbnb rentals in Paris has grown from 4,000 to 65,000. Rents in the central arrondissements are increasing and permanent residents are leaving. In the last two years, I have rented 5 different apartments through Airbnb. All of my rentals have been excellent value although certainly some have been more comfortable than others. When I am travelling solo, I tend to pay less to be able to stay longer. 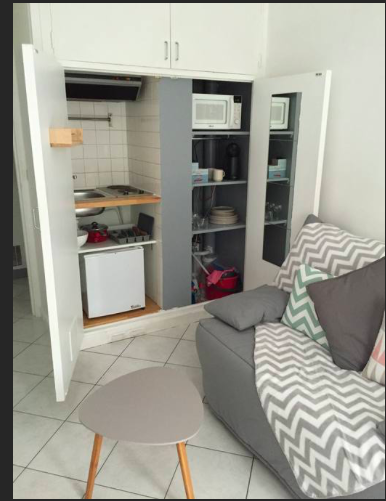 In Paris, the Airbnb owner must live in the property. The rentals are limited to 120 days a year. The Paris apartment, shown above, is the home of Yvon and Laurence. Laurence, who was in Paris from their summer home, welcomed us warmly with an apéritif and gave me a jar of her fig jam. The apartment was decorated with family photos and books. Laurence slept at the apartment a couple of nights. This was definitely a home and it seemed that we were welcome visitors. 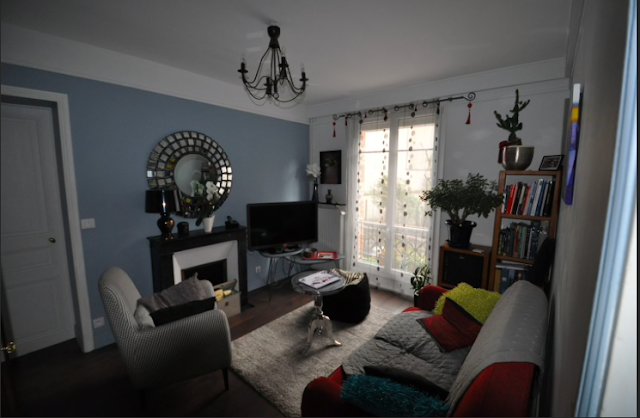 This is my solo Paris rental. The cleaners had been in and the bedding and towels were fresh. I got the key from the neighbour. There were no signs of a permanent resident. seems to be a "good match" for me. I prefer older landlords and I find that I often rent from educators. Laurence is retired from teaching adult education. We had interesting conversations in French about travel, economics and education. Last September, my friend, my daughter and I rented in the Sunset Park area of Brooklyn. The owner lived in the brownstone and was readily available. He and his partner lived in the lower floor, the second floor was rented permanently, and we rented the top floor suite. We enjoyed great value in a lively area of New York City. Cities are looking at the Airbnb phenomenon and attempting to regulate the short-term rental market. Short-term rentals discourage long-term tenancies and drive permanent residents further from the city core. 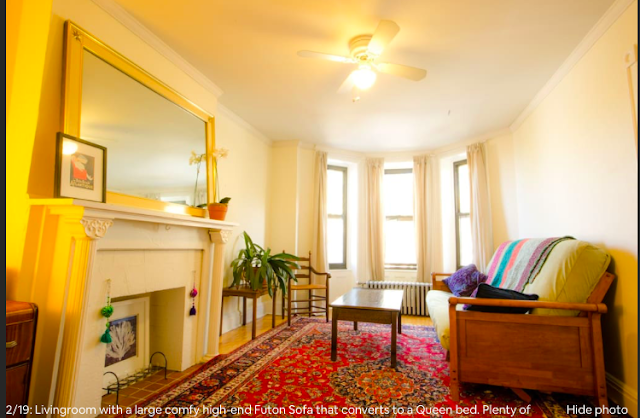 Some investors are buying properties with the intention of creating an Airbnb hotel. There is more money to be made and often no taxes are paid. I live in an apartment complex with 411 units in 8 buildings. Short-term rentals are forbidden by our strata rules. But, it is likely that a few apartments have been purchased as clandestine rentals. Since I have been retired, I work in the gardens and Monsieur entertains at pool parties on long weekends.We may recognize 10% of the residents by sight. requires workers and those workers must be housed in proximity to their employment. Homesharing has traditionally been a means for homeowners to make some extra money. The basement suite or the extra room have provided company and allowed owners to stay in their homes. Personally, I would rather stay in an apartment than in a hotel. There don't seem to be any easy answers to the housing issue anywhere in the world. Gentrification, globalization and rising land costs are problems in most major cities. Do you stay in short-term rentals? Would you welcome one in your neighbourhood? Do you have an idea about regulation? I'll probably book a rental next year. 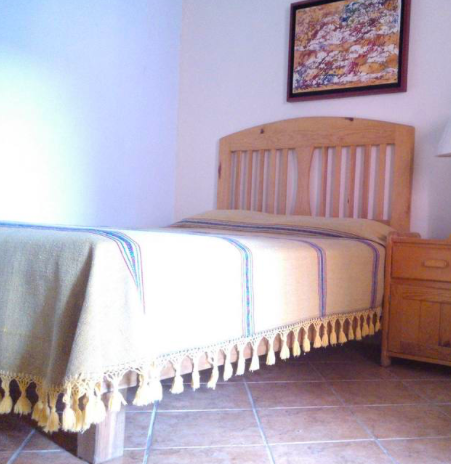 We stay in AirBnB places and have found them to be great value, and interesting besides. Hotels have priced themselves out of the market. Yet there needs to be affordable housing for residents, too. It's a thorny situation. We have a basement rental suite. I've thought that perhaps someday we might turn it into a short-term rental suite because then when we want the space for family visits, or holidays, it could be available for us. For now, having a permanent tenant is the best scenario. I couldn't afford to travel as much if I did not rent from Airbnb or VRBO. Our friends paid $400 Canadian for a small hotel room in Paris and I averaged about $90 Canadian in the 14th arrondissement. I have no answers to the residential housing problem. I've rented from airbnb in the US, but have stayed in the same hotel when I visit London year after year because they know me (--desk staff have been very helpful, particularly when I had an unexpected medical issue) and the accommodation has all I require: a well-stocked kitchen and bathroom, free wifi, table/chairs for dining, a desk and a king size bed (even an umbrella in the closet). The location is very well-situated as it is only two blocks from a supermarket and a tube station within the first zone. There is also an elevator. As I get older, and because I am usually traveling alone, I find this works best for me. The price is reasonable for the accommodation (<$200 when booked in advance) and virtually the same cost or less than most of the airbnb offerings in the area. Plus, since I usually arrive early in the day coming from the US, they can take my luggage and it leaves me free to explore the city unencumbered, though I am fortunate that they usually try to have my room available upon arrival since they know when to expect me. If it were just a hotel room without all these benefits, it would be different. As for residential housing in most places, it is a conundrum. However, I don't live in a city or in a location where airbnb is an issue. That sounds like a very comfortable and reasonable situation for London. I like to have a kitchen . Luggage storage is also a feature that I appreciate. Re you near a rail or coach station? Luggage storage is easy, too, as there is a large, well-lit (lights up upon opening doors) closet. 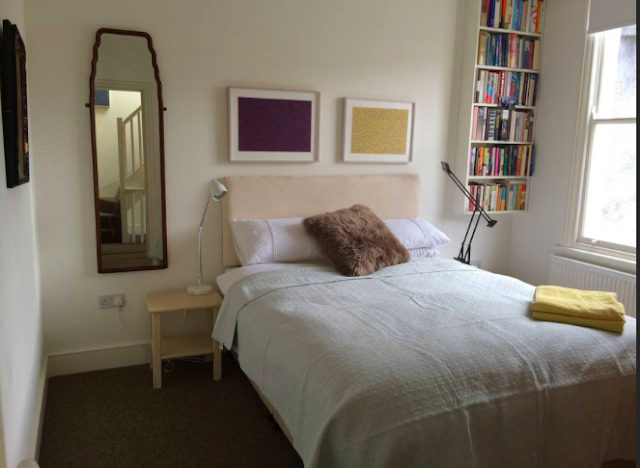 Only a couple of stops from either Paddington rail station or Victoria rail/coach station. Easy enough tube access to other rail stations.